Welcome to Impressions Crafts a family run business, owned by Maggie and Steve Challinor. Home for Impressions Crafts is a converted barn within Dagfields, the largest Crafts & Antiques Centre in the North West. 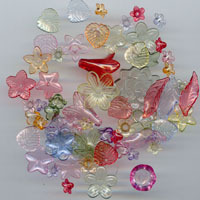 We run a variety of workshops in Jewellery making, card making, and home decor. We also have weekly groups running on a regular basis in beading on Tuesdays and Fridays knitting on a Friday and craft club on a Thursday.